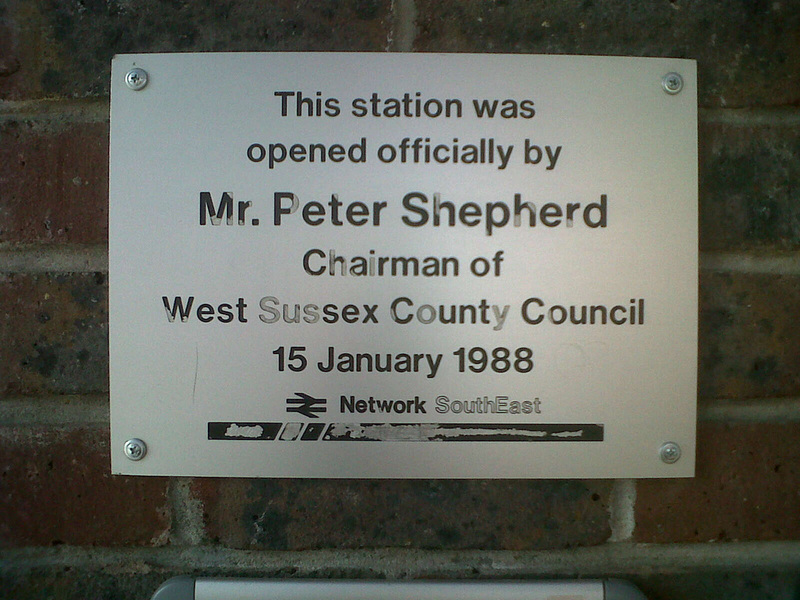 of the Station in 1988.Taken on 9th May 2012. 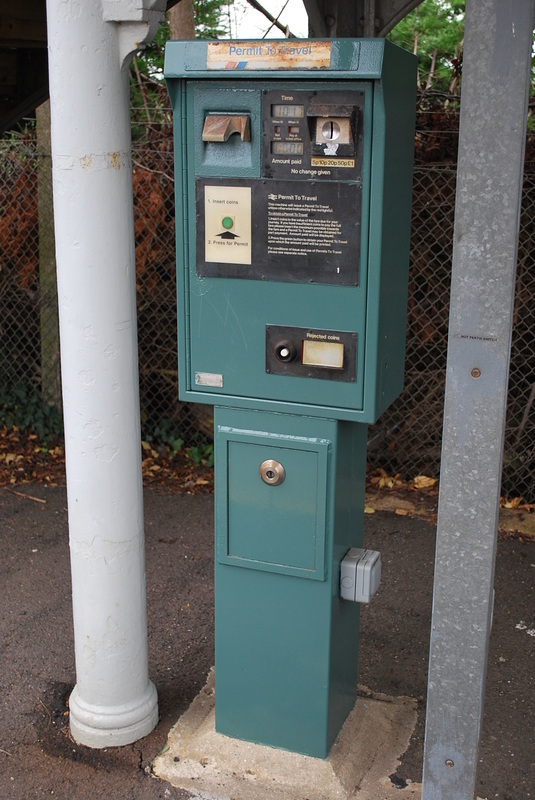 The seconds still tick away with a 'CLICK CLACK' at this London Terminus. 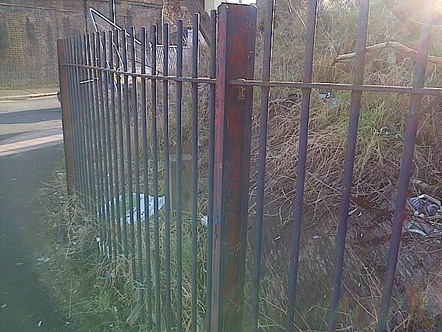 Taken on 3rd April 2012. 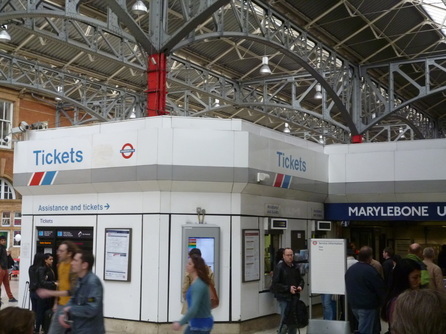 The platform pillars still retain thier NSE cladding throughout the station. Taken on 29th November 2014. Liverpool Street Platform 8 Entrance featuring a NSE Clock. 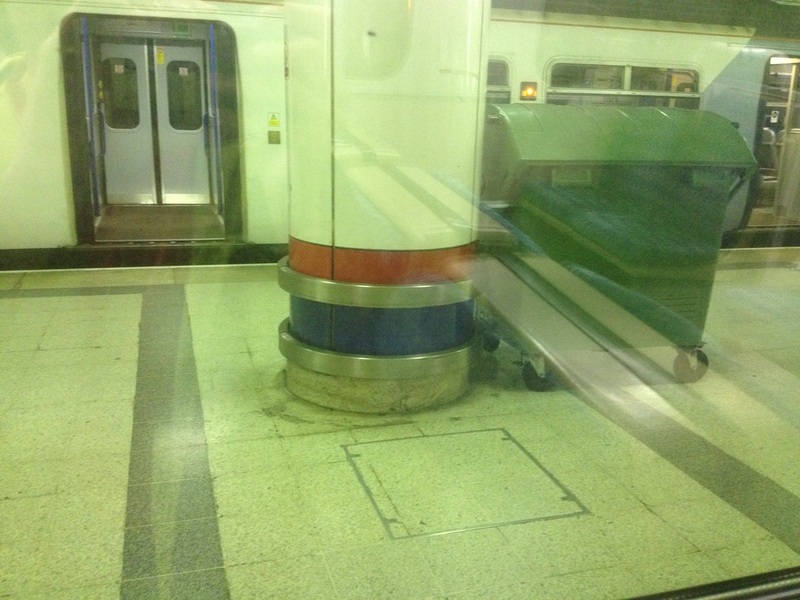 NSE branded platform pillars at Liverpool Station Station. 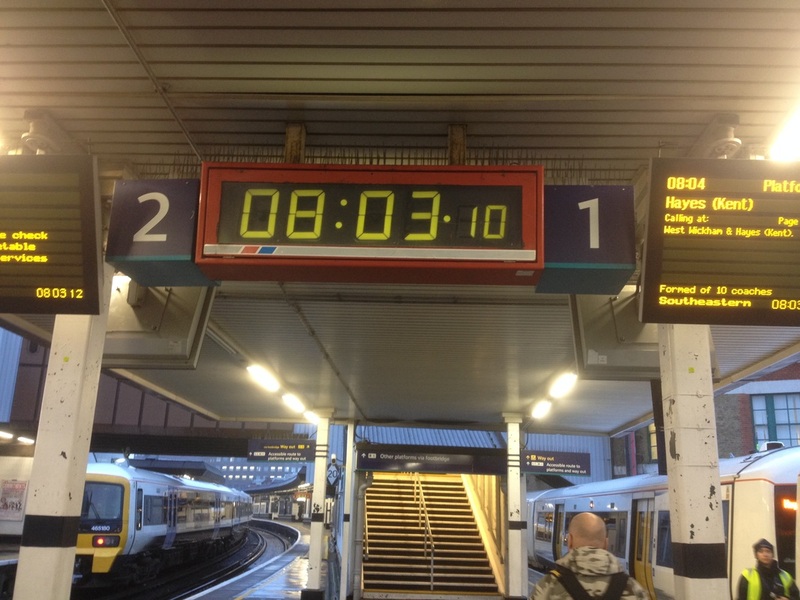 This busy London terminal still has a large number of 'NSE Clocks' present. 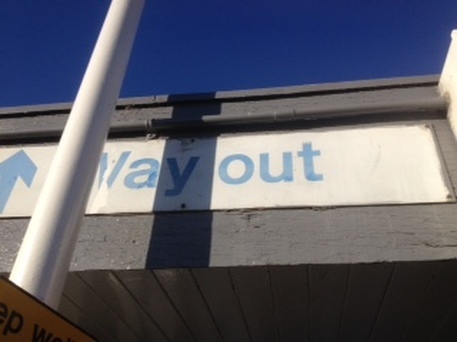 As well as a 'NSE Branded Sign' giving directions for the Emergency Exit out of the Station. Taken on 27th October 2012. 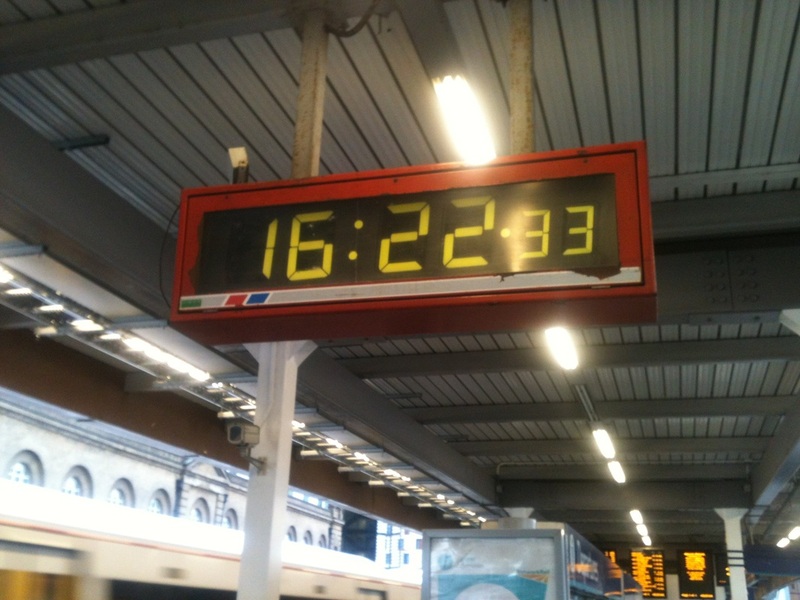 NSE Clock at London Bridge Station. 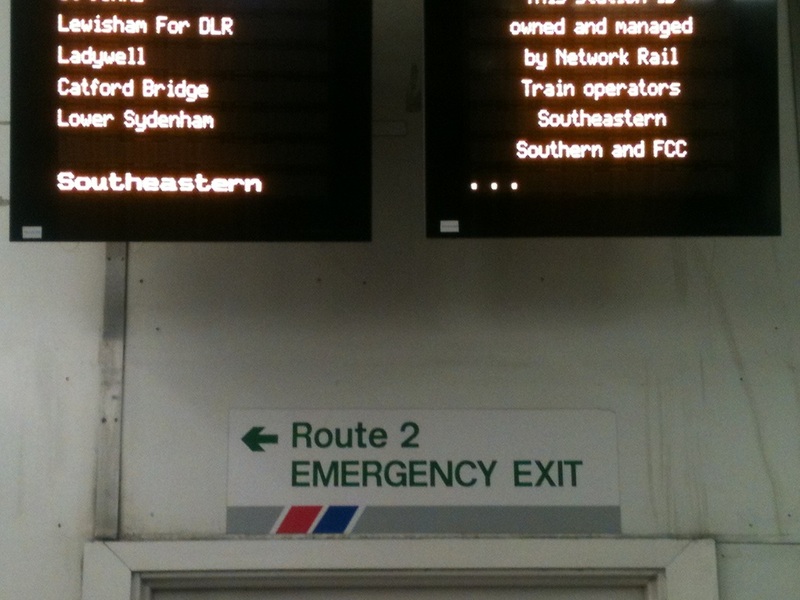 Emergency Exit Sign at London Bridge Station. This NSE branded clock is still in full working order in the main concourse below the Destination Board. 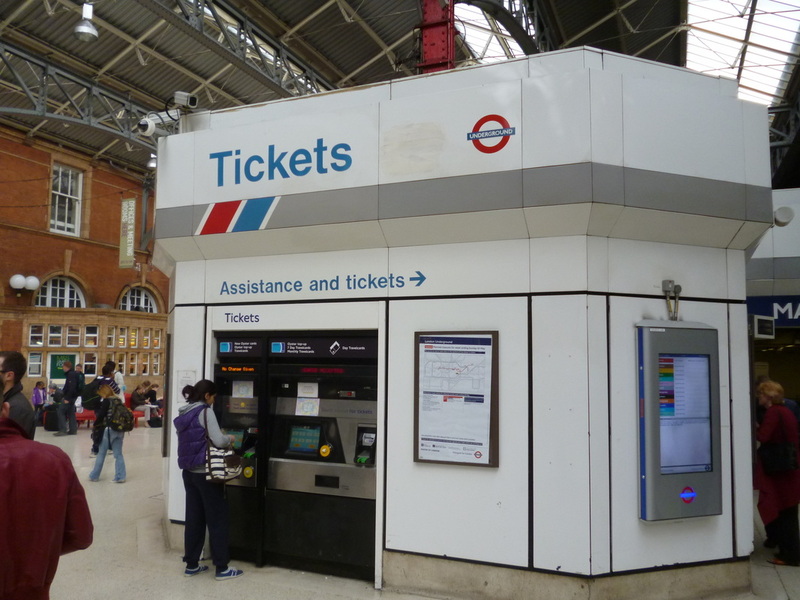 But its days are numbered as the station is under going major development ans refurbishment. Taken 21st July 213. 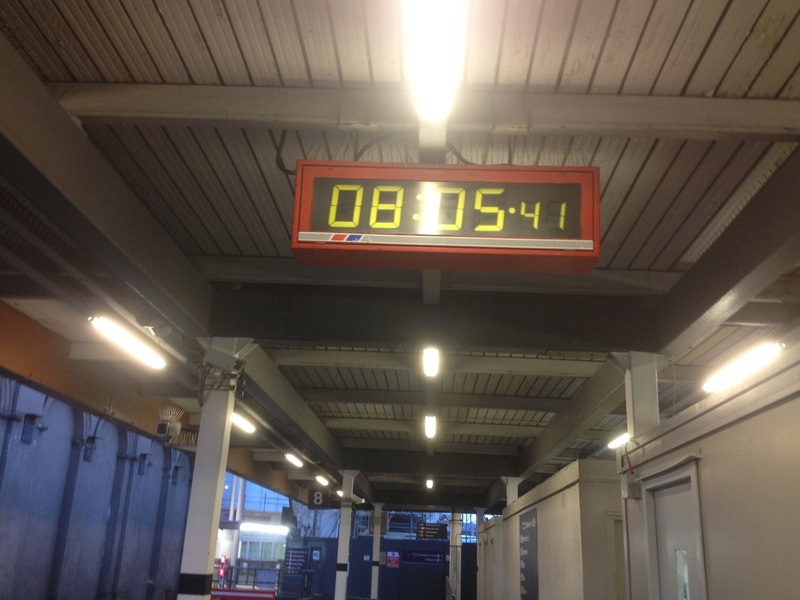 NSE branded clock on London Bridge station concourse. 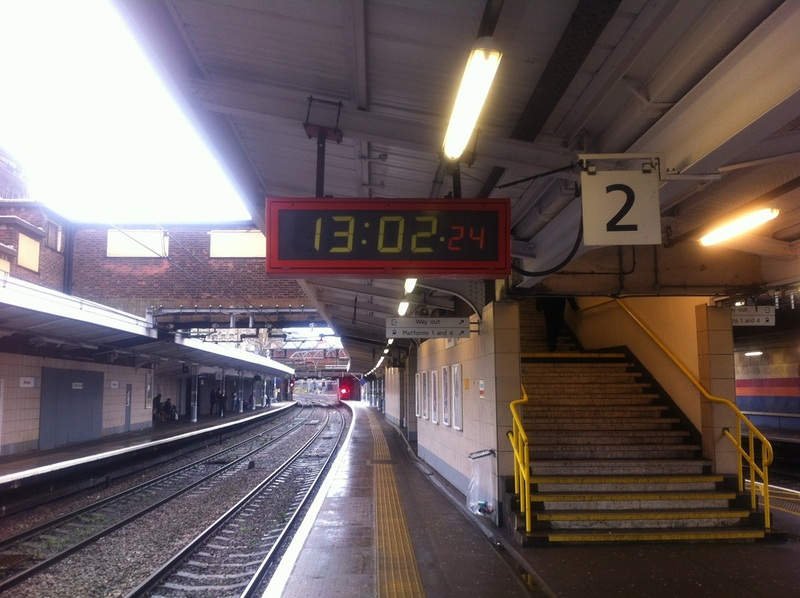 The first clock is on platform 1/2 (Southeastern side) and the second clock is located on platform 8 (Southern side) both clocks are in good clean working order. Taken on 22nd November 2014. Network SouthEast clock at London Bridge Station on Platform 1/2. Network SouthEast clock at London Bridge Station on Platform 8.
now beginning to show the history that bears underneath in places - that being NSE red paint !! Taken on 9th February 2015. 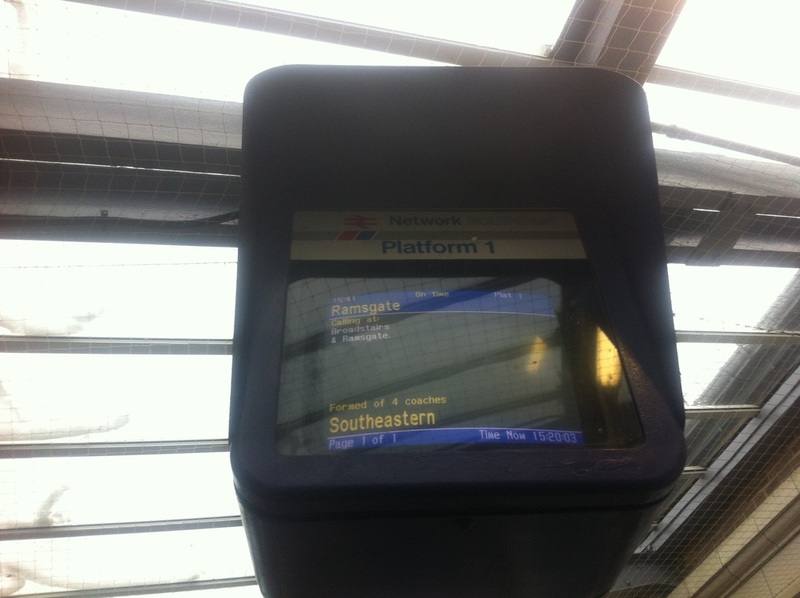 These NSE destination screens are still working and providing us with information ! Taken on 10th June 2012 & 23rd March 2013. 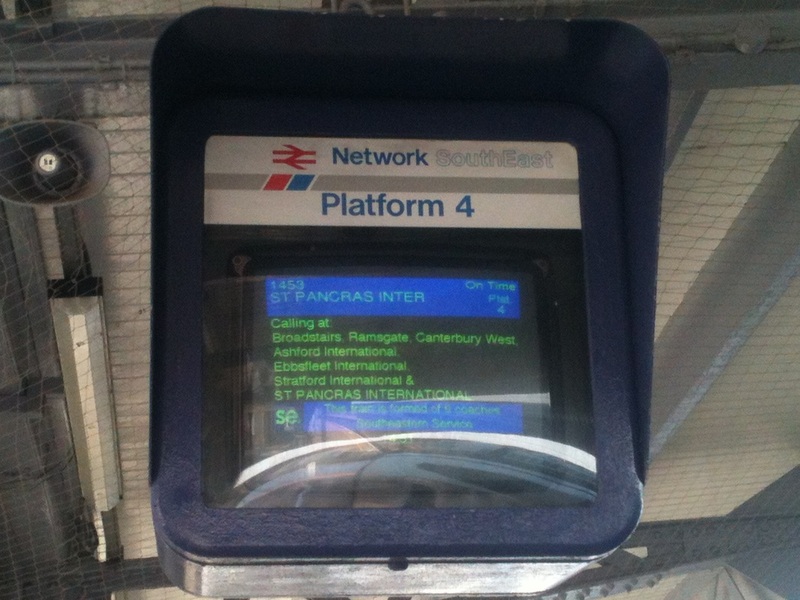 Margate Station platform 4 destination screen. Taken June 2012. 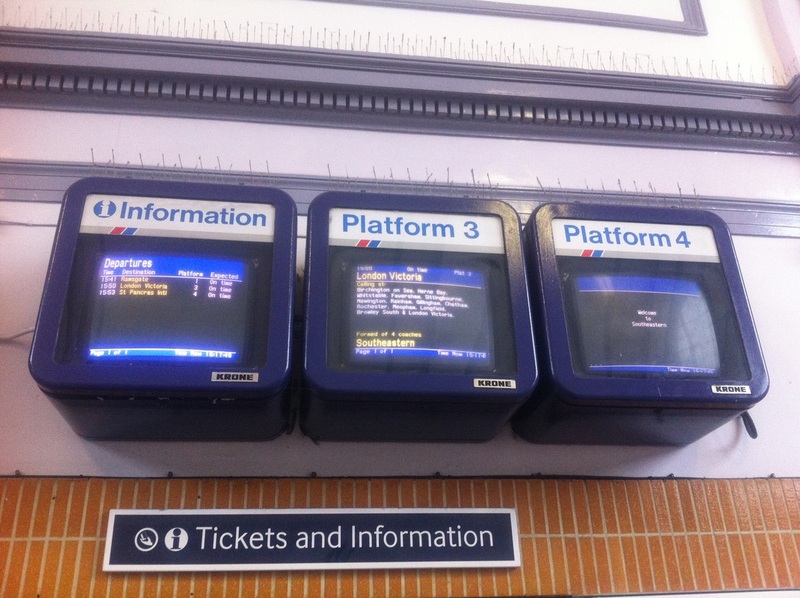 Margate Station platform 1 destination screen. Taken 23rd March 2013. 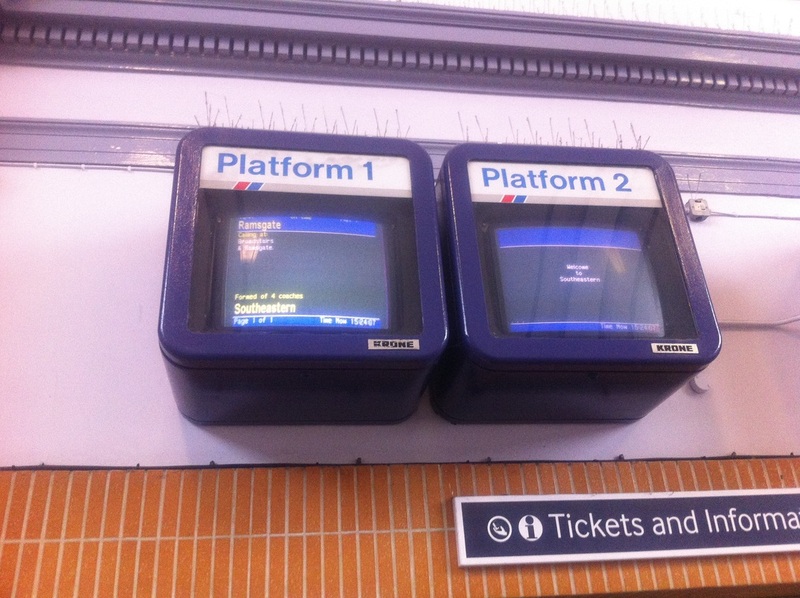 Margate Station Information screens in booking hall. Taken 23rd March 2013. 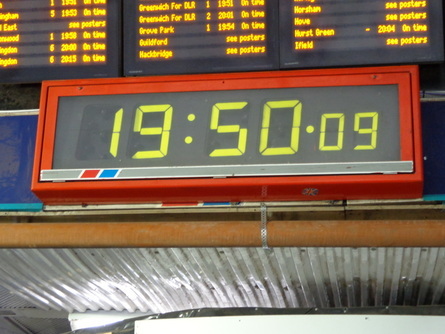 This NSE clock is still in full working order. Minus the NSE stripe it's of course !! 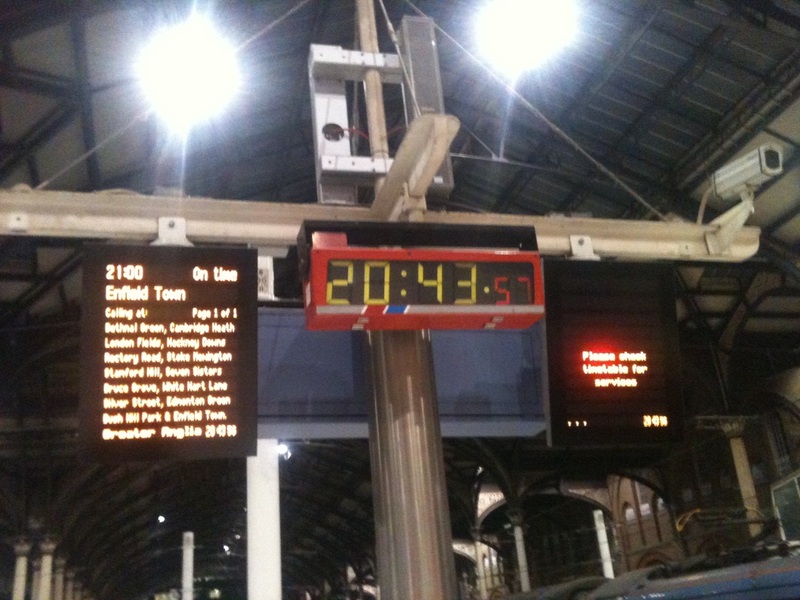 Taken on 22nd December 2012. 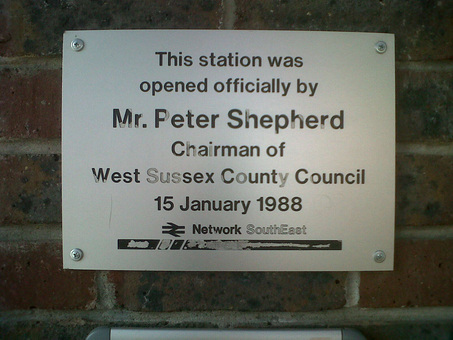 As this station is managed by Chiltern Railways, some signage has survived. 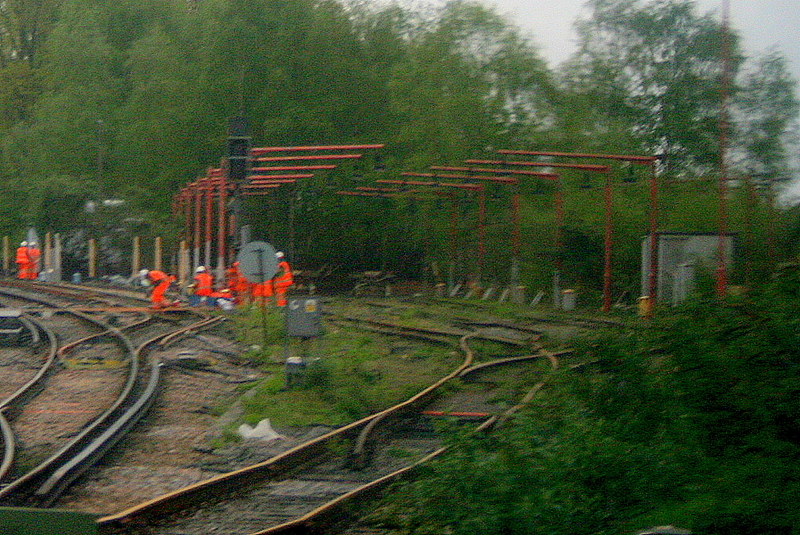 Taken on 11th May 2012. 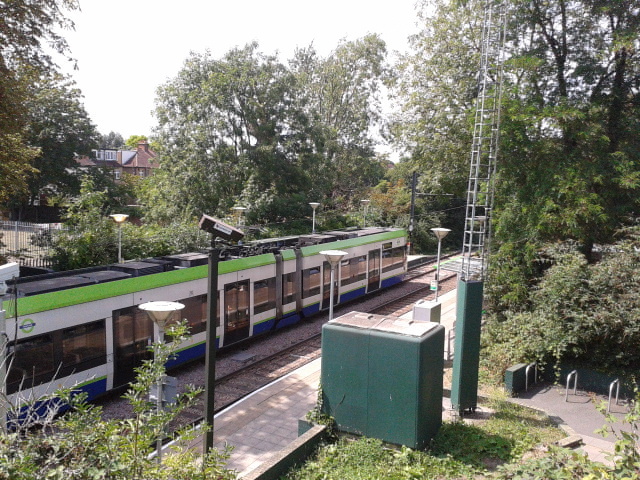 This Station was closed on the 31 May 1997, to make way for the 'Croydon Tram Link'. Surprisingly a 'Red' NSE Lamppost survives to this day. .Taken on 31st July 2014. 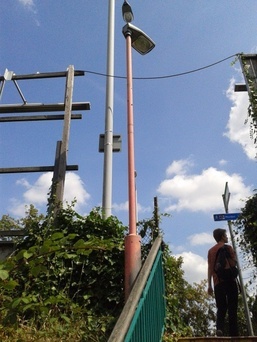 A Red NSE lamppost still survives at Morden Road Tramlink Station. 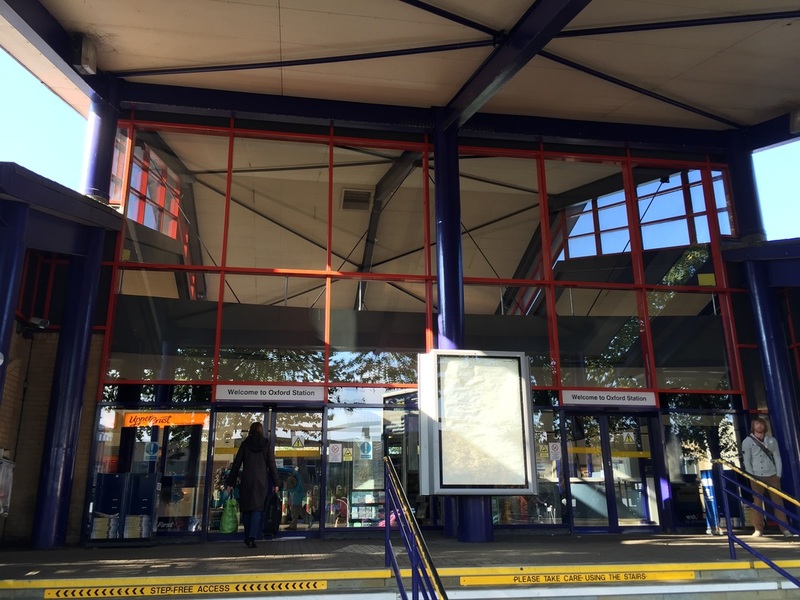 Morden Road Station in 2014. 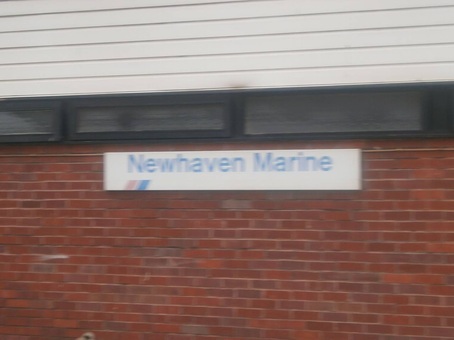 Former NSE route. 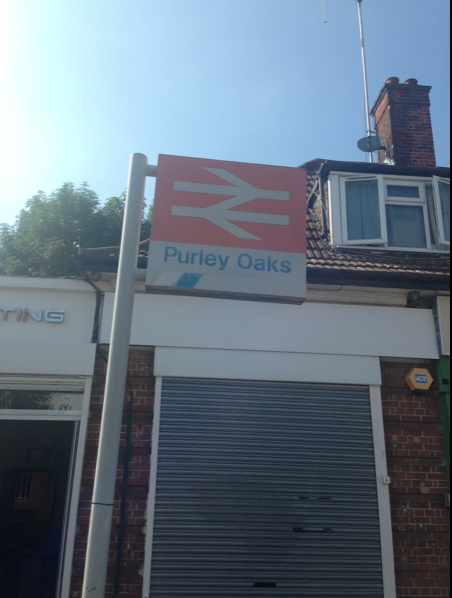 (West Croydon - Wimbledon). 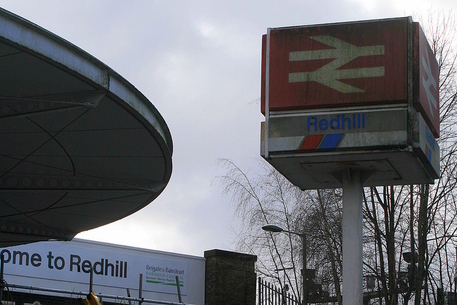 This Station is still legally open, but has been closed to passenger trains since August 2006 due to "safety concerns". But still has NSE signage place. Apologies for quality. 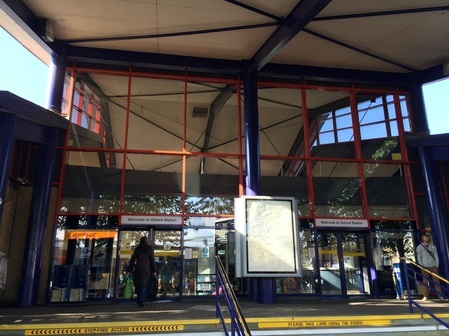 Taken on 16th March 2013.
frames dominant the main entrance .Taken on 12th October 2015. 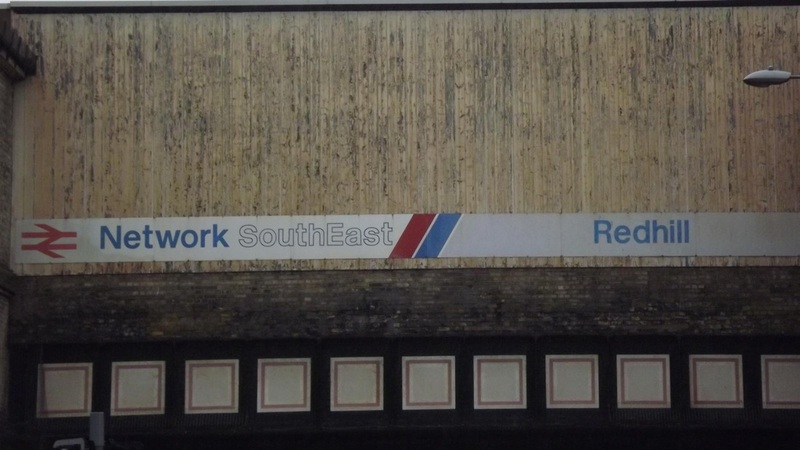 Network SouthEast 'RED' window frames at Oxford Station. This NSE branded litter Bin still stands in the Staff car park at this station. 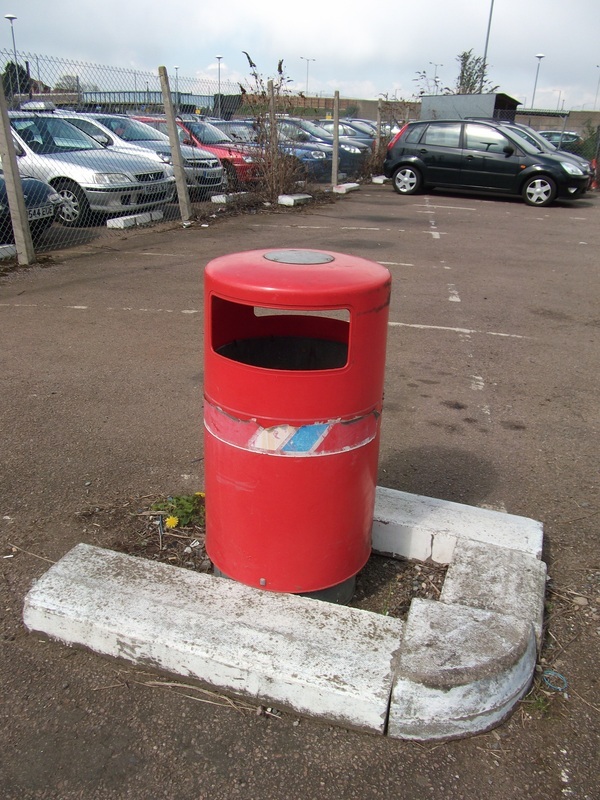 NSE Litter Bin at Peterborough Station. the 'NSE Permit to Travel' flash still remains. Taken on 14th September 2010. Petris machine at Pevensey & Westham Station. Information & Photo supplied by Ian Morrish. 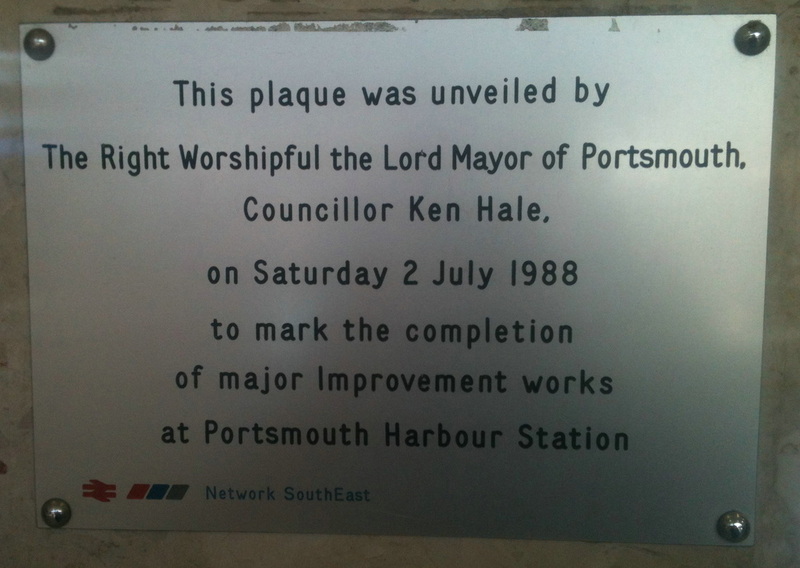 Plaque installed in 1988 to mark work done here. Still in place 24 years on !! Taken on 18th August 2012. Still greeting the passengers at this LTS Station. Taken on 22nd October 2012. 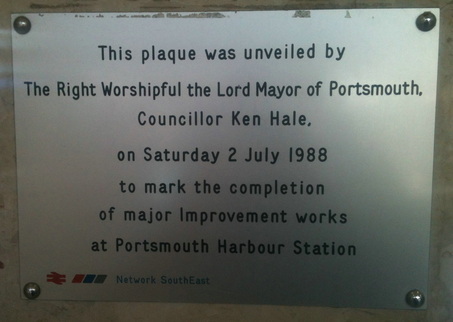 Portsmouth Harbour Station Improvement works plaque. side at this South London Lines Station. Taken on 2nd September 2014. Information & Photos supplied by Brandon Carroll. 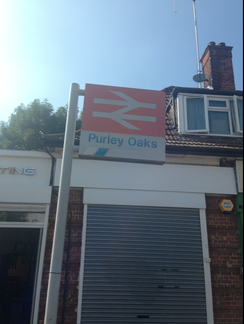 This NSE & Red Star Parcels branded sign, is another Survivor on the LTS ! Taken on 23rd October 2012. 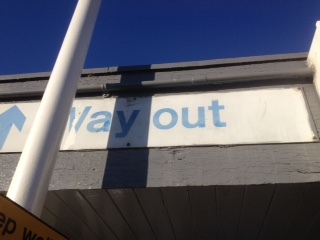 This 'Way out' sign still exists on platform 1 at this c2c station. 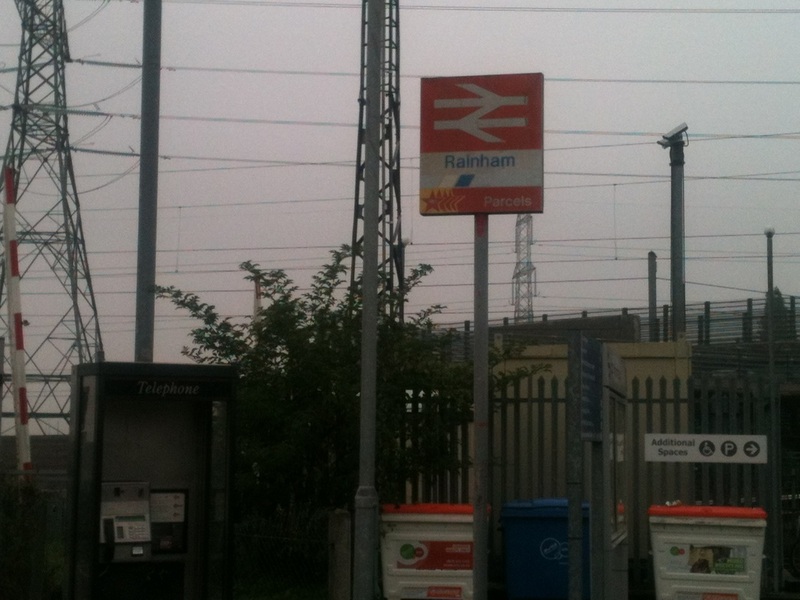 NSE installed 'Way Out' sign at Rainham Station on platform 1. 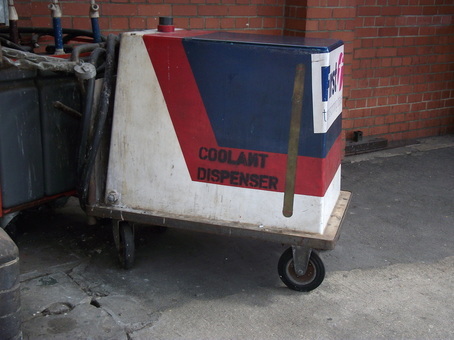 This Coolant Dispenser Trolley is still in use and retains its NSE colours. Information & Photos supplied by Dave East. 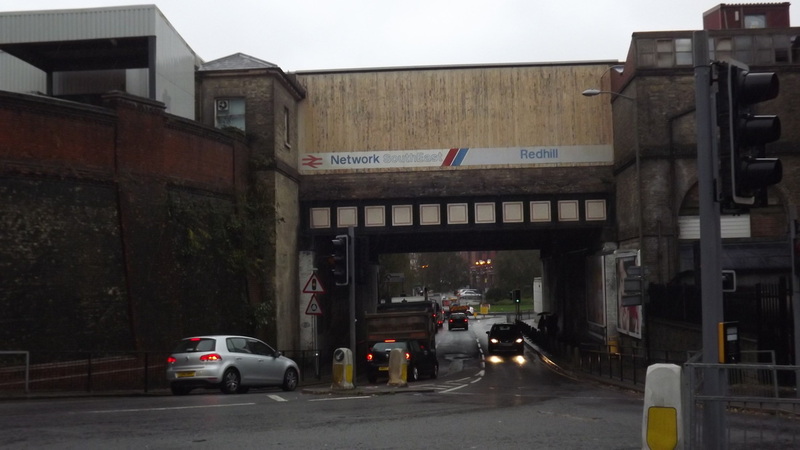 Many NSE followers will be familiar with the NSE sign that adorned the bridge over the A25 at Redhill Station. Network Rail to donate the sign to the society. 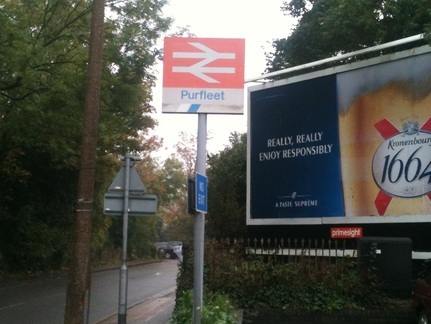 The sign was collected on Thursday 29th November 2012 and is now safely stored under cover at Shoreham. Photos taken on 26th October 2012. Photos supplied and taken by Dave Elliot. Taken on 8th February 2014. 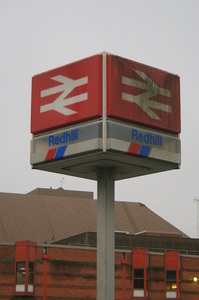 Redhill Station 'Network SouthEast' Sign cube. 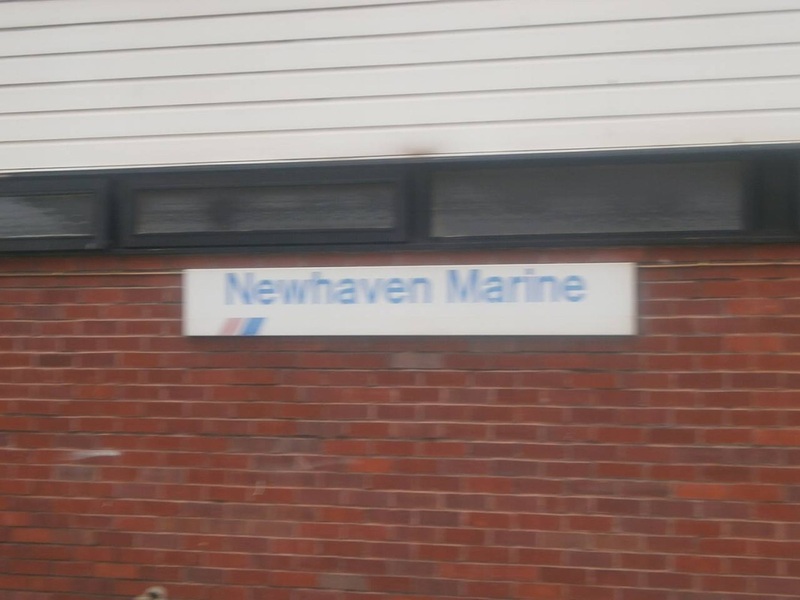 Taken from a moving train (Apologies for quality), the three roads at Redhill which used to be where the old steam shed was situated in the V of the Brighton and Tonbridge lines. 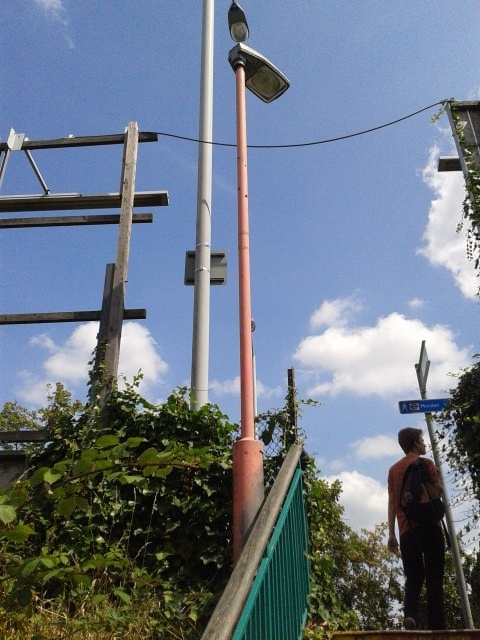 No signs but the all too familiar red painted lamp-posts exist. 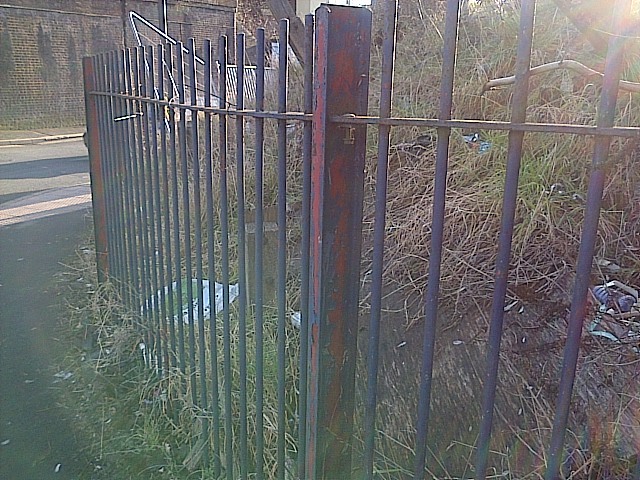 This location was possibly used at some point for the overnight stabling of DMUs. Taken on 26th April 2014. Network SouthEast 'RED' lamp-posts at Redhill.